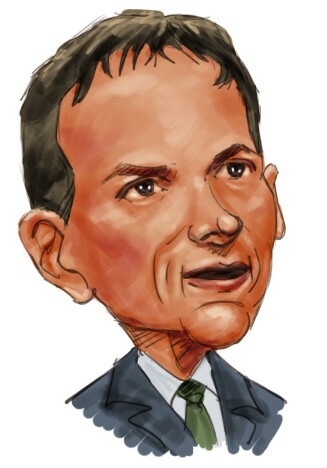 Greenlight Capital’s David Einhorn is no stranger to financial companies. He revealed Lehman Brothers’ financial shenanigans long before its collapse, and he benefitted by shorting its shares. Lehman Brothers didn’t collapse because Einhorn or other short sellers were selling Lehman shares. Lehman collapsed because of the enormous risks it had taken. Lehman’s collapse revealed weaknesses in our once mighty financial system. David Einhorn previously expressed his opinions about financial reform in various platforms. He told us no one from the government approached him for his insights about the financial reform. It makes sense. If the government wasn’t this dysfunctional, we wouldn’t have these problems in the first place. Previously David Einhorn came out against too-big-to-fail financial institutions which are part of a huge asymmetric risk-return structure. When these institutions take enormous risks and succeed, their managers and employees benefit the most. When they fail, taxpayers foot the bill. David Einhorn also criticizes rating agencies such as Moody’s (MCO), Standard & Poor’s (MHP), and Fitch. These rating agencies have serious deficiencies in their ratings and big banks have taken advantage of pension funds who use their ratings. “I think I would go harder into the derivatives issue. In the sense that people who are writing options, whether it’s credit default swaps or other types of over the counter options that have low up fronts but high payouts I would suggest that they post far far more capital collateral to the point where it would probably make that market less attractive . And the other is I would do something about the money markets.